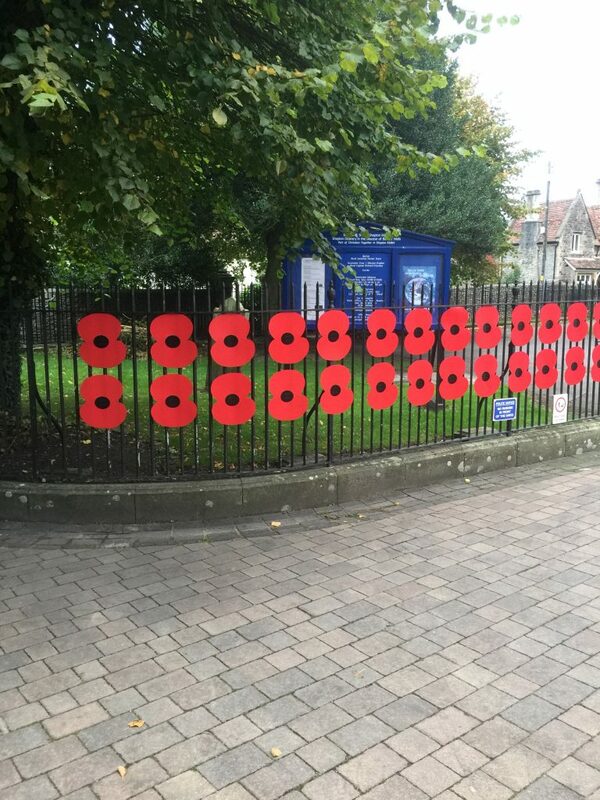 Shepton Mallet Town Council have displayed Poppies across the town to commemorate the Centenary of the end of WW1. 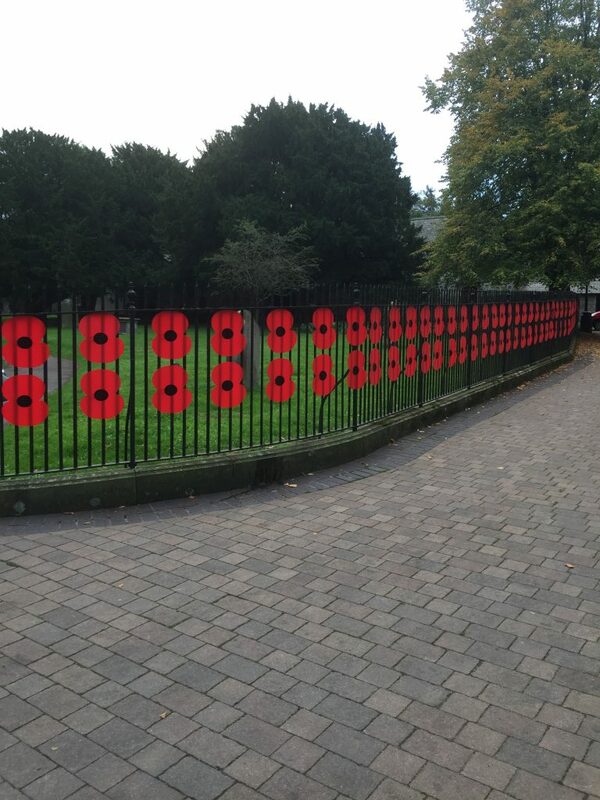 We would love to share your photographs of the poppies you have spotted around Shepton Mallet on our website. 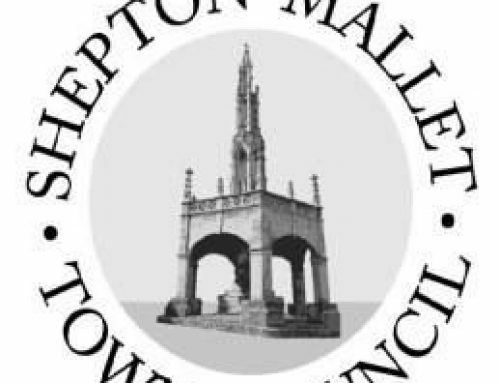 Please email; info@sheptonmallet-tc.gov.uk. On 10th November, there will be a remembrance event held at Collett Park starting at 1pm. This will include planting of the tree, dedication of Commemorative Bench, and afternoon tea for all. There will be performances from The Chapel Dance Studio, RN Volunteer Band and The Devon & Somerset Air Training Corps Wing Band. The event will finish at 4pm. On 11th November, Remembrance Day Commemoration will begin at 10.35am. To begin there will be a Remembrance Service at Shepton Mallet Cenotaph followed by a two minute silence at 11am. There will then be a procession to the Service of Commemoration at St. Peter and St. Paul Church. 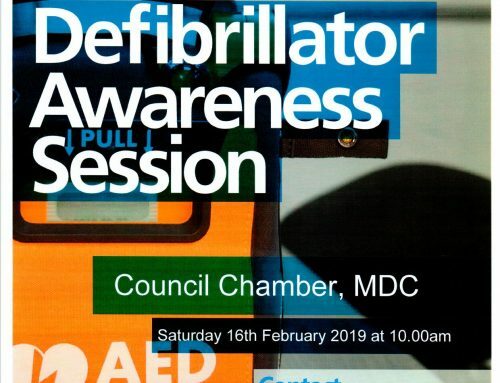 Light refreshments will be provided at the Church by the Town Council and at The Club by the Royal British Legion Branch.